From a small settlement through to busy port and modern capital today, the city of Cardiff is proud of its culture and journey through history. With our base right in the heart of the city, we can take full advantage and discover Cardiff’s vibrant past and present. Join your Solos Tour Leader and the rest of the group on Friday evening for a welcome drink and hearty dinner as we kick the weekend off. Situated less than a kilometre from our hotel is the rather impressive Cardiff Castle. Found within extensive beautiful parkland and a site of heritage and significance we can explore, this historical site with our included ticket giving us access to a host of attractions within the Castle including the grounds, Castle Apartments, the Keep, Wartime Tunnels Interpretation Centre, Firing Line: Cardiff Castle Museum of the Welsh Soldier and an Audio Guide. Discover that the Castle was once a Roman Fort and travel through history after the Norman conquest through various noble families before being transformed into a lavish and gothic home by architect William Burges for the 3rd Marquess of Bute. It was then given as a gift to the city in 1947. After breakfast on Saturday morning, our walking tour takes us from the hotel out into the city. A great way to introduce the city, our guide spills secrets of the past as we cover many of the world famous sites. From the City Hall, Millenium Stadium, Cardiff Market and the Victorian Shopping arcades the stories cover the fascinating history of the city. Hear the tales of the Marquess of Bute who is reputed to have once been the richest man in the world and see his influence throughout the city today. Before it’s time to head home on Monday, why not head to Cardiff Bay for a boat trip or its range of shops and restaurants. 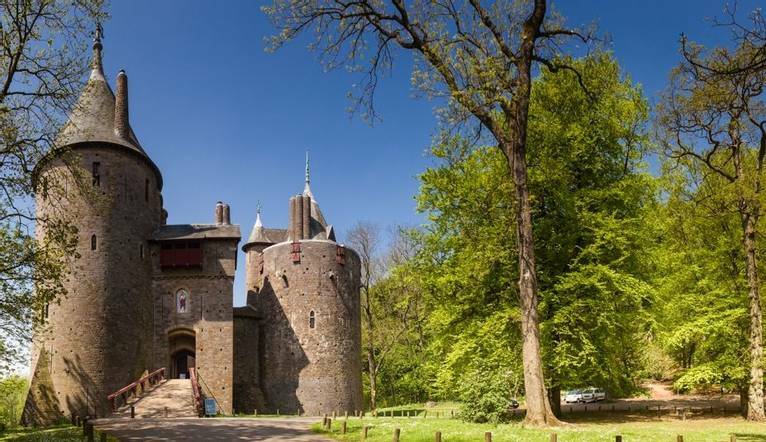 Alternatively explore the fairy-tale Castell Coch or “Red Castle” just north of the city. Recently refurbished and with an ideal location right in the heart of the city, our hotel is within walking distance of St David’s Shopping Centre, Cardiff Castle and the National Museum. The hotel is located half a kilometre from Cardiff Central and Queen Street stations. Parking is available at the hotel for £14.00 for 24 hours or guests can access the NCP car park adjacent to the hotel. The RGB Bar and Grill offers full buffet breakfast as well as a host of signature dishes in the evening. Our standard bedrooms all offer Freeview flat-screen TV, tea/coffee-making facilities, safe, iron, hairdryer and free Wi-Fi.